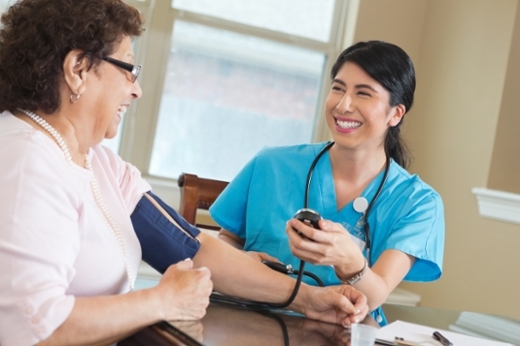 Free health screenings will be offered to women including: glucose, bone density, blood pressure and body mass index. Physicians will also be available to offer casual consultations to women. Emory Johns Creek Hospital (EJCH) has partnered with Junior League of Gwinnett and North Fulton Counties to host its annual Ladies Night Out event on Thurs., Feb. 25 from 6 to 8:30 p.m. in the hospital’s new education center. Kimberly Lairet, MD, general and breast surgeon; Maria Piraner, MD, diagnostic radiologist, director of the Center for Breast Care at EJCH; Meena Thirunavu, MD, community oncologist with Winship Institute of Emory University, assistant professor of medical oncology, Emory School of Medicine; and Patricia Yugueros, MD, chief of plastic surgery at EJCH will hold a panel discussion called “Trends in Women’s Health” at 6 p.m. Doors will open to the Ladies Night Out event at 6:30 p.m.
Beverly Miller, director of Community Relations at Emory Johns Creek Hospital says this is an opportunity for women to be more proactive about their own health. “It’s a night for them to focus on themselves. They can get health screenings, shop and have fun,” says Miller. Attendees will have a chance to win raffle prizes. Light refreshments and dessert will be served. For more information, visit emoryjohnscreek.com or call 678-474-8017.